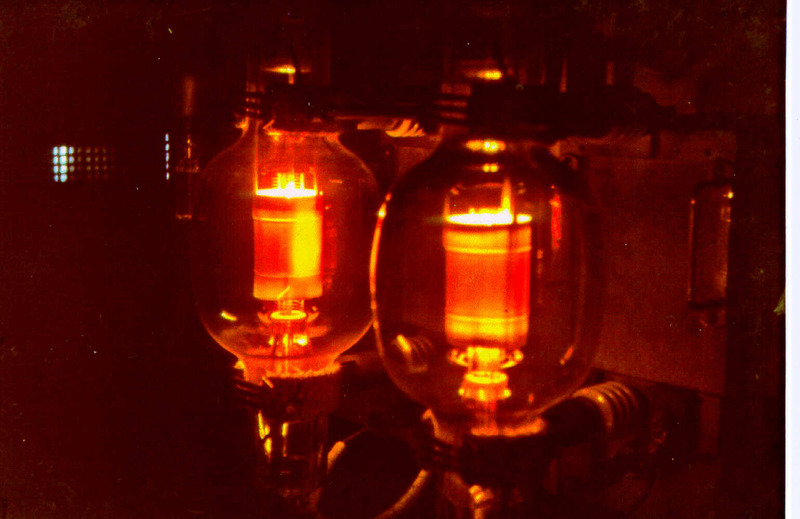 This is a rare color photo of the output driver stage of the first 4QN transmitter  situated South of Townsville, North Queensland. The photo was generously supplied by Mr. D Baker who was a senior PMG engineer. Since the transmitter was modulated at a low level, the color and intensity of the radiation from the plates changed with modulation.